RESTRICTING negative gearing to just one property each may be the answer for federal politicians looking to slash housing tax concessions. Amid fears housing will become a political football in the lead-up to next year’s Federal Election, experts have thrown up options that could see concessions remain with Mum and Dad investors — but only for one property each. 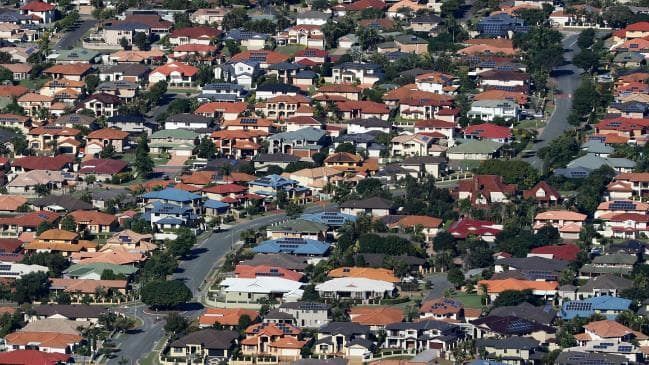 Allowing Aussies to hold at least one negatively geared property each might be the answer to cutting back the cost of the tax concessions without impacting the market too harshly, according to Nerida Conisbee, realestate.com.au chief economist. She told The Courier-Mail that the market had changed substantially and adjustment was needed to policies that doggedly wished to outlaw negative gearing. “We’ve had a 30 per cent reduction in lending to investors from the peak in 2015, there’s been a clear resurgence in first home buyers, all the things people were worried about have turned around,” she said. Ms Conisbee warned that given most rental housing was currently produced by mum and dad investors, drastic policy changes would have longer term impacts on rent prices and availability. The answer, she believed, was “slight changes” to policy to ensure it was more palatable to the market. “One thing may be keep it but only to one negatively geared property (each),” she said. Ms Conisbee agreed that for those who couldn’t afford their first home it would seem unfair that others held up to 20 negatively geared properties. Rental housing supply tax incentives, potentially to large corporations would also need to be considered as an option, she said. As well, allowing negative gearing across regional areas should also be looked at, given very little new development was now going into places like Wagga Wagga while Hobart was seeing a rental crisis. “Investing in housing is something people have always been confident in but if you erode that, it does impact outlook and that can have compounding effect on pricing,” she warned. Negative gearing has become a popular way to reduce personal tax liabilities, according to the Australian Labor Party, with the policy coming into full swing after concession changes put in place by former Liberal PM John Howard in 1999.